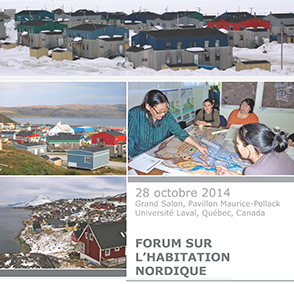 Registration is mandatory for participation in the Northern Housing Forum. Registration is free, however, there are limited places available and registration will be closed once the maximum number of participants has been reached. Registration includes access to all presentations and discussions and lunch, as well as the Northern Housing Exhibit and evening cocktail to be held in the atrium of Pavillon Charles-De Koninck, Université Laval.